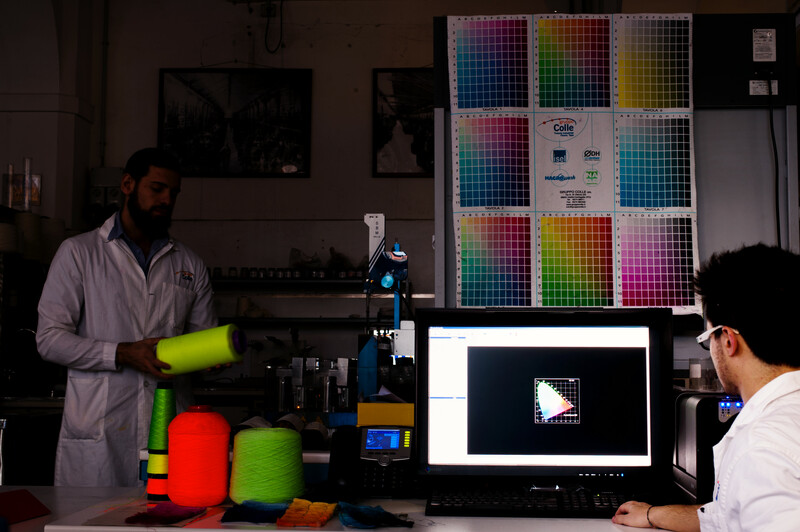 Our laboratories are made up of several sectors that, working in synergy with each other, apply an accurate and consolidated working method based on years of experience that is appreciated in the attention to detail from the first color design to its reproduction in the laboratory to then arrive in production and finally final quality control. 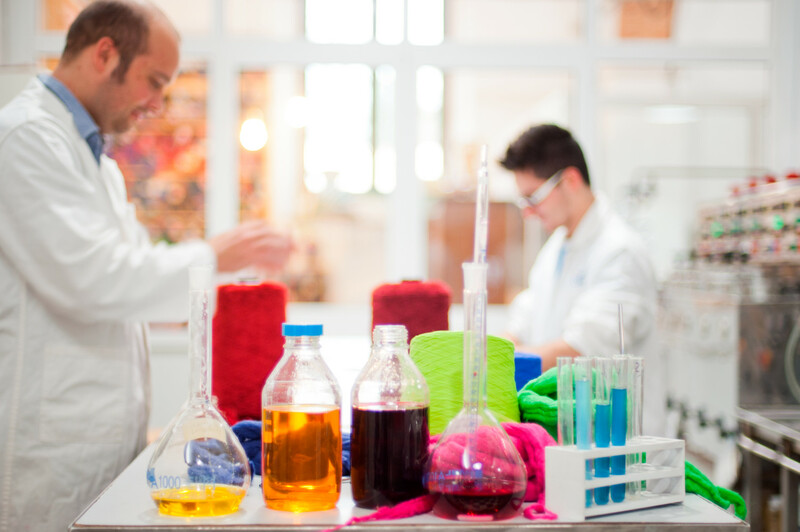 In our laboratories we are able to recreate colors on all types of fiber: natural, artificial and synthetic; the dye classes we use are agreed with the customer on the basis of the required performance in terms of solidity but also according to the appearance of the desired finished product. Over the last few years, in order to respond to the ever increasing demands for compliance with various ecological regulations (GOTS, OEKOTEX, GRS, CTW, etc. ), our company has embarked on a qualification path for its chemical products and the suppliers that produce / distribute them. 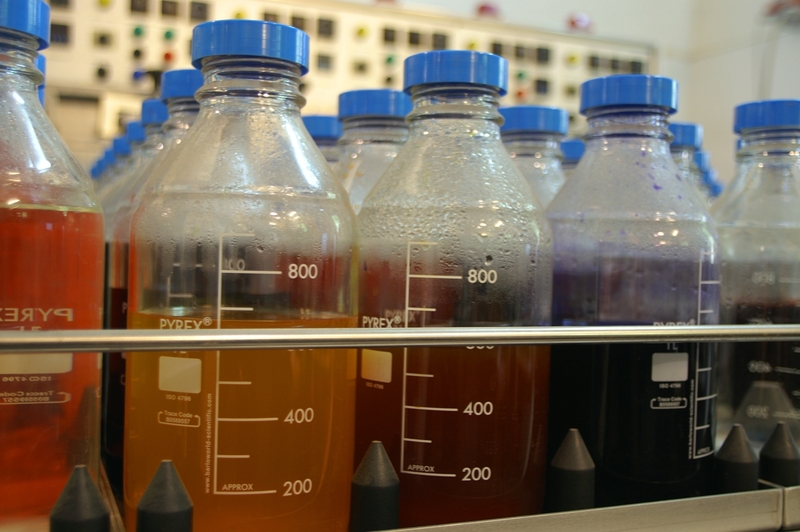 As a function of this research, we have developed internally, thanks to our ICT department, a high-level Chemical Management software that allows us, for example, to select the qualified chemicals for each regulation that our customers ask us to respect for the dyeing of certain lots destined for particularly demanding markets. This also allowed us to publish one of our PRSL that guarantees compatibility with the vast majority of PRSL that brand owners now impose on their supply chain. 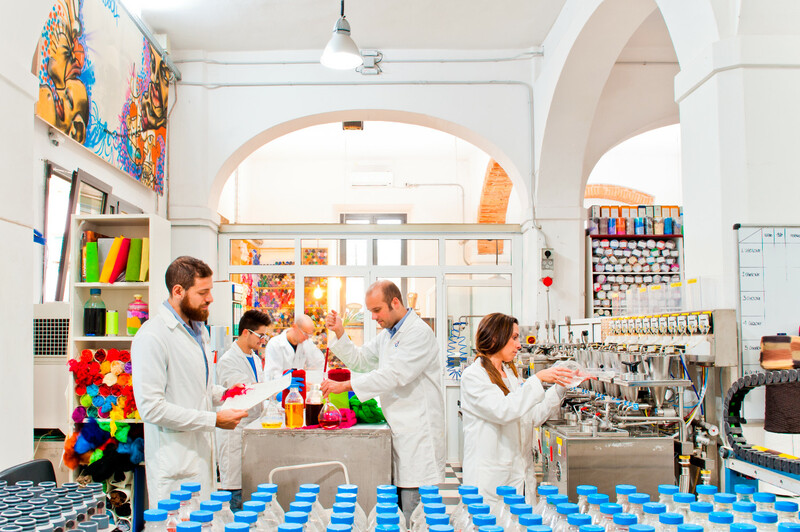 Quality control results to be meticulous on the finished product both from a colorimetric point of view and from chemical-physical performance, relying on the most modern control technologies.